If you thought the fallout from the global Libor rate-rigging scandal was over, think again. Australia's world of high finance and at least a dozen global banks have recently been thrust into the spotlight because of two separate lawsuits. Court filings allege a key Australian interest rate benchmark was manipulated for hundreds of millions of dollars in "illicit" profit between 2010 and 2012. It is partly because of the colourful exchanges between traders over phone, email and instant messenger, all set out in these court filings, that charges have been laid. "You dropping by the casino for Christmas day?" a senior Australian interest rates trader nicknamed "The Rat" allegedly asked another trader in one transcript. "Which casino? BBSW?" he messaged back. BBSW is an acronym for Australia's bank bill swap rate, the local equivalent of Libor. It essentially determines what banks charge to lend to each other. "Lucky the rate sets are all legit and there is no manipulation within the Australian financial system," an ANZ trader wrote in a separate incident. "Ahahah" was the reply, according to court documents. A decade since those messages were sent, it is safe to say their employers - now being sued - definitely aren't laughing. Australia's "Big Four" banks of National Australia Bank, ANZ, Westpac and Commonwealth Bank of Australia, as well as Macquarie, have found themselves at the centre of the US court battle. As the country's biggest lenders, they played a pivotal role in how the BBSW benchmark was calculated. The methodology was changed in 2013 following the international Libor scandal. The BBSW, which is used to price everything from corporate loans to mortgages, is now based off a collection of live rates from the market. The other defendants in the US class action lawsuit are Citibank, Deutsche Bank, HSBC, JPMorgan Chase, Morgan Stanley, BNP Paribas, Royal Bank of Scotland, UBS, Royal Bank of Canada, Credit Suisse, ICAP and Tullett Prebon. The plaintiffs are hedge funds Sonterra Capital Master Fund, Frontpoint Financial Services (which helped inspire the film The Big Short) and an American derivatives trader dubbed the "Prince of the Pit". Their claim, filed in a New York court, is seeking a jury trial with the intention of recouping millions of dollars lost due to the alleged rate-rigging. All the parties involved in the US litigation have declined to comment or weren't reachable for comment. Much of the US lawsuit is based off what the plaintiffs call "smoking gun evidence" uncovered by Australia's financial watchdog, which had fired the first legal salvo over potential manipulation of the BBSW. Australia's Securities and Investments Commission (ASIC) settled claims with UBS, RBS and BNP Paribas over alleged BBSW manipulation in 2013 and 2014. After a long-running investigation, ASIC then launched civil legal proceedings this year against Westpac, National Australia Bank and ANZ for alleged "unconscionable conduct and market manipulation". The three banks have collectively denied the ASIC allegations and said they plan to "vigorously defend" themselves against the charges. Storm clouds have been brewing around Australia's banks in recent years. They've had a string of high-profile cases hitting the headlines, ranging from allegations that insurance units manipulated reports to class action lawsuits over late fees and toxic workplace environments. Australia's government is now under pressure to launch an inquiry, known as a royal commission, into potential misconduct and malpractice in the financial sector because of the scandals. Image caption Have Australia's "Big Four" banks lost some of their credit in the eyes of global investors? Dealing a further blow, major ratings agencies have cut their outlook on Australia's banking system to "negative". A credit downgrade could potentially raise their funding costs. Some analysts are also sounding alarm bells, saying that the banks' earnings growth is under pressure from new capital rules, increased competition and rising funding costs. There are also concerns over the impact of Australia's housing bubble, given home loans account for the bulk of local bank assets. Australia has one of the world's highest levels of household debt. Investors need to rethink their love affair with the banks, says Benjamin Pedley, director of investments at UCA Funds Management in Melbourne. "The heady days of banks' performance and their dominance of the local stock market index are already behind us," he told the BBC. "The biggest risk is that they are increasingly domestically focused, having failed in their overseas expansions to the UK and Asia. As the local economy transitions from the mining boom, technological advancements have exposed their business model to weaknesses." He's not the only market participant to have turned against Australia's largest lenders, which survived the global financial crisis relatively unscathed and are among the world's most profitable. Shorts, or negative bets, against the four banks surged by 50% to more than $6bn (£3.4bn) earlier this year, the highest-ever level, the Wall Street Journal reported. 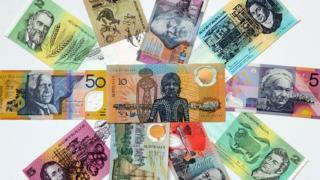 The BBSW rate-rigging scandal hasn't just put Australia's Big Four under scrutiny. It has helped ignite a national debate over the future of Australia's banking landscape. For decades Australia's big banks have controlled more than three-quarters of the market. They hold assets around four times the size of the country's economy. This is largely due to the so-called "Four Pillars" policy introduced by former Australian Treasurer Paul Keating in 1990 (originally "Six Pillars"). It was intended to preserve competition by preventing further consolidation. Some believe the policy is now past its use-by date and has instead stifled both competition and innovation. "The four major banks are protected by outdated policy which offers little observable benefit to consumers," said Rob Nicholls, from the Centre for International Finance and Regulation (CIFR) which produced a report into competition in the sector. So can we expect change? Many believe it is too early to say, but Australian banks' largest corporate customers are most concerned with potential instances of misconduct, according to research firm East & Partners. "The majors are clearly acknowledging the seriousness of the allegations as it poses a much larger risk than simply lost revenue from fines and penalties," Martin Smith, head of markets analysis at East & Partners said. "Change is needed immediately given the longer this process runs, the more severe the long-term negative reputational damage will be," Mr Smith said. "Whether the banks are implicated or not, a great deal needs to be done to improve trust and transparency and that can't proceed until the bank bill swap rate and other cases are concluded."